It is practised regularly by professional athletes. Targeted exercises based on your own strength firm all the body’s muscles, which is visible in aesthetically formed body proportions. This form of body training is now catching on in Germany as a new kind of exercise for normal sports enthusiasts having made its way from Eastern Europe and the USA over the past 5 years. It’s known as calisthenics and differs greatly from exercising alone with machinery at the gym. It focuses on using the body’s own strength and energy. Full-body training without the need for complicated technology! It involves gymnastics-style strength and physical exercises which are practised using your own body’s weight and at times some additional weights. 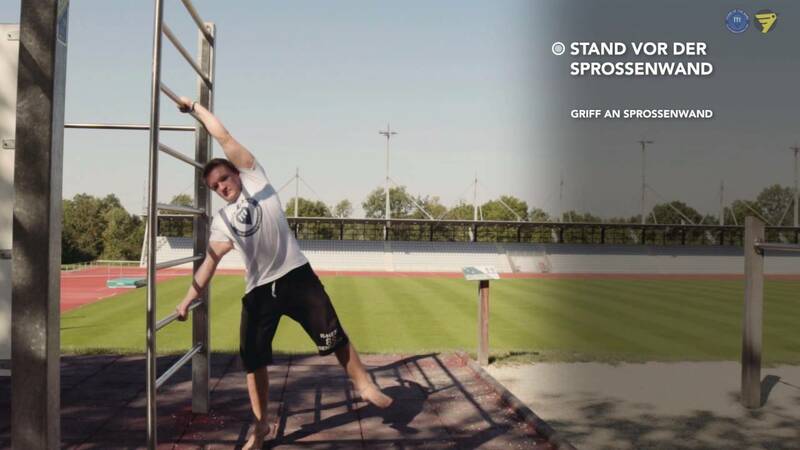 You can use specified outdoor structures for the sport; but it’s easier and better to train on specialist calisthenics (also known as street workout) equipment. It has since grown into a whole system of different elements which helps athletes to train and practice their sport safely. Calisthenics is a holistic approach that unites body and soul as one. Behind it is a philosophy for life based on respecting others, non-violence and abstinence. After all, those who pay attention to their body and themselves develop a particular kind of awareness that also makes them sensitive to their fellow man. Together with athletes from Delbrück/Westphalia, PLAYPARC has developed a compact system to install in parks or designated playgrounds and centres to be available for general use. It has since grown into a whole system of different elements which helps athletes to train and practice their sport safely. Calisthenics is a holistic approach that unites body and soul as one. Behind it is a philosophy for life based on respecting others, non-violence and abstinence. Those who pay attention to their body and themselves develop a particular kind of awareness that also makes them sensitive to their fellow man.